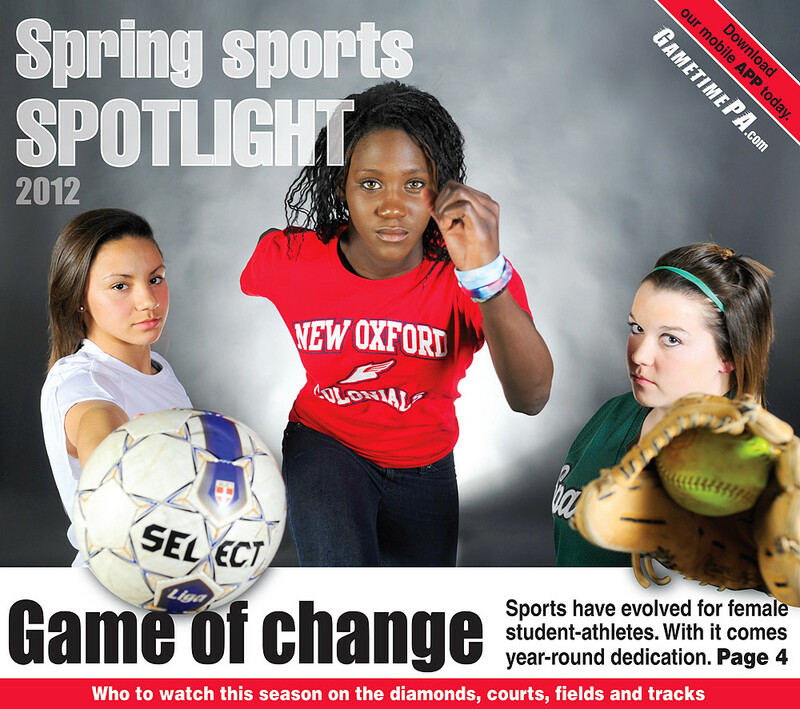 The night before I left for a three-day photojournalism workshop in Fairfax, Va., I shot and turned in photos for our 2012 spring sports tab. 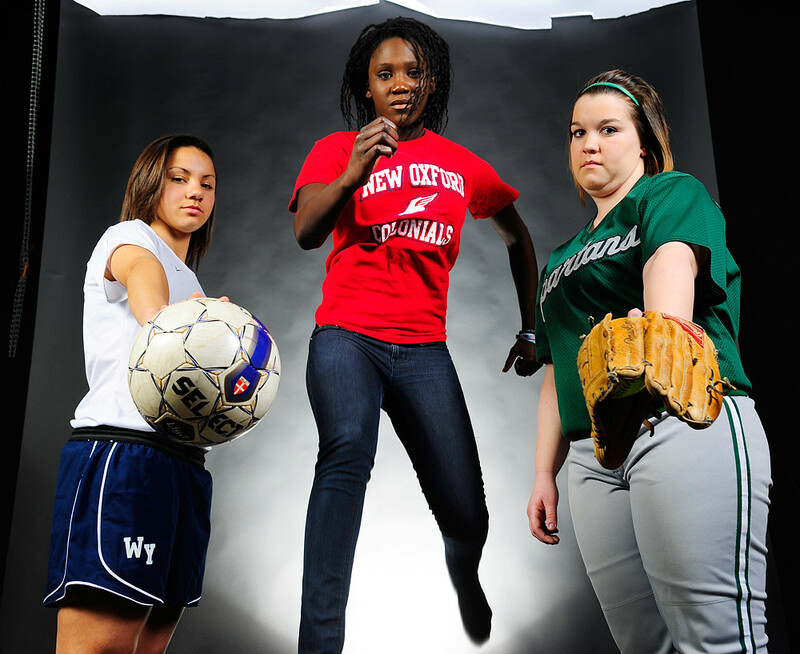 Earlier that day, my editor told me three female athletes would be arriving for the studio shoot. So I worked with the girls, took suggestions from them, made them get closer to each other and turned in three different options before I left for home to pack. The next day, as I was in one of the workshop’s sessions, my editor texted me… because, in the photo I’d designated as my favorite, the track-star girl in the center seemed as if she were missing an arm. I wasn’t there for any of the deliberations, but they kept the shot. 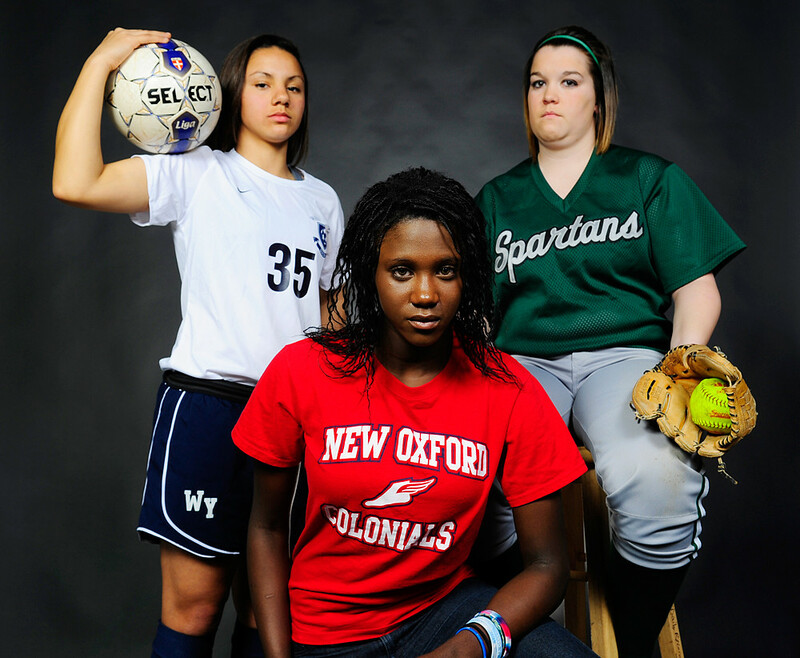 And no, New Oxford’s Jamilla Janneh is not, in fact, missing an arm. © 2012 by The York Daily Record/Sunday News and GameTimePa.com. For both of the shots above, I had a three-light set-up: One in the back to highlight Jamilla’s jumping figure, and two — with umbrellas — flanking me. The cover photo was taken from the third or fourth rung of a ladder we have in the studio; the outtake was taken from almost floor-level, as I sprawled out on my stomach. Related: Check out this past football season’s preview tab, which I also shot.